Is audience loyalty important to your blog, business or brand? Are you wondering what are the secrets of building a raving fan base? Publishing a few blog posts and promoting them to social networks may bring some traffic, but building a loyal audience that really listens to what you say, isn't something that happens overnight. In a recent study of 580,000 articles on 2000 websites, ChartBeat found that 55 percent of readers spend fewer than 15 seconds actively on a page. And those that were clicked on and engaged with were news related such as Edward Snowden, Syria, etc. The study also found that the most clicked on but least engaged with articles were generic with click bait titles with words such as: Top, Best, Biggest. etc. Which shows that click through does not always mean a high engagement rate or attention. 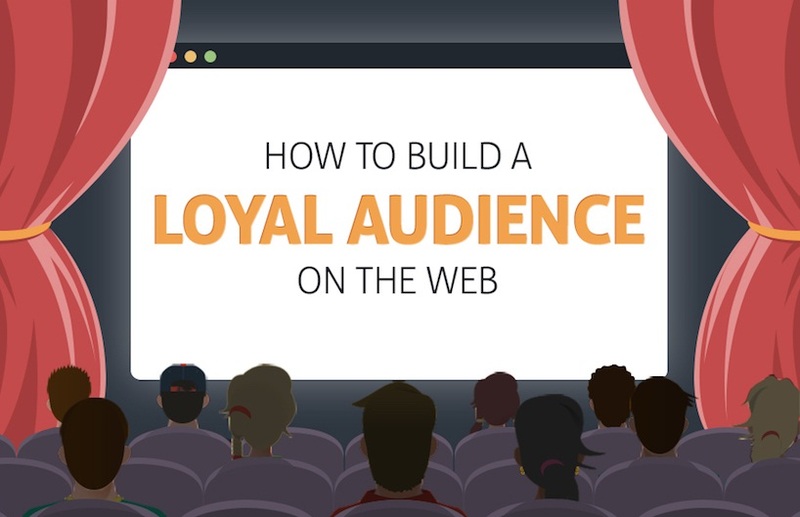 So the big question comes in "how to build a loyal web audience?". Take a look at the infographic below, produced by Quicksprout, illustrating 5 tips on how to build raving fans and improve your return on investment. Borrowed audiences such as social media (Facebook) or display ads (from Taboola and Outbrain) change so often, which massively affects your content distribution versus an email list you own. Partnering with industry-related websites/blogs is a great way to not only introduce a new audience to your content, but to acquire those valuable email addresses as well. Quality content has these elements, exclusive information (data, case studies, etc. ), Good design, Value (actionable, in depth and or emotion driven). There's more in full graphic, take a peek.